Here is a quick show of a November Wedding Cake for a very special Bride and Groom! 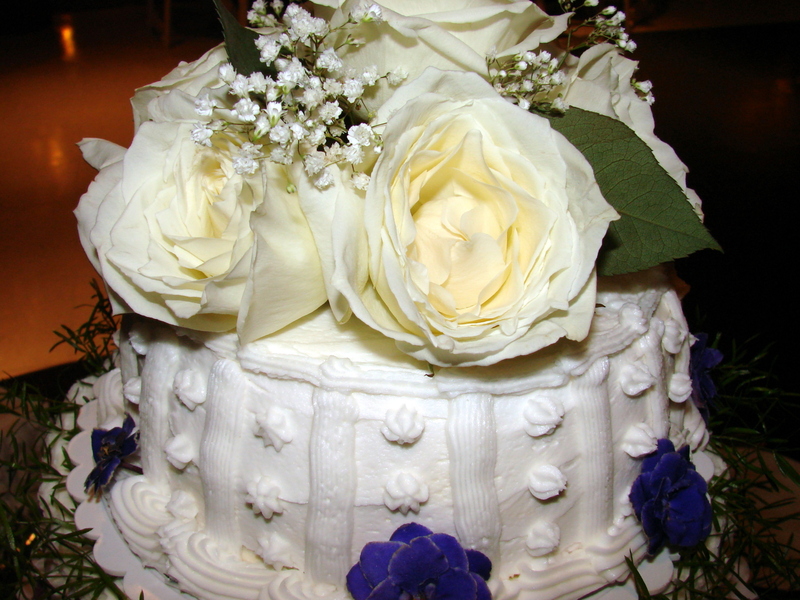 The cake was a genoise, a rich, light cake made with butter, sugar, eggs, flour and vanilla…. 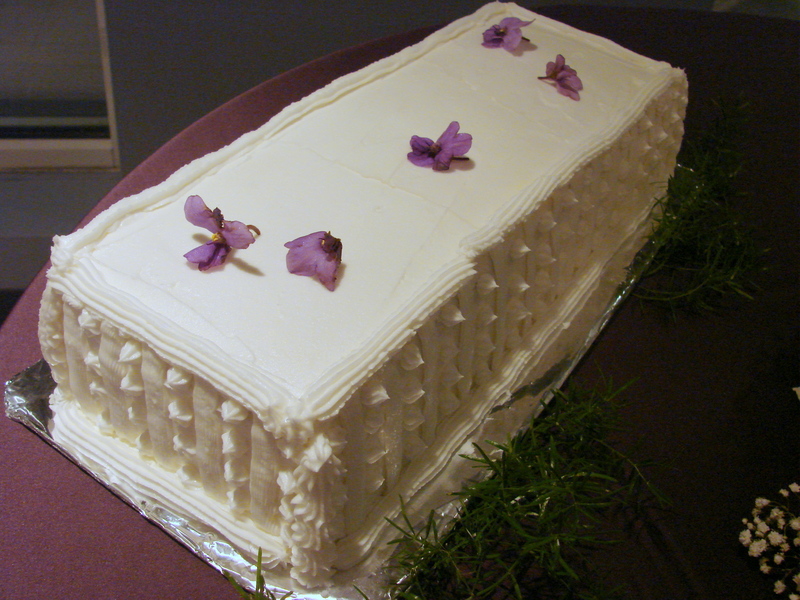 Every layer was brushed with Cointreau….. filled with a vanilla butter cream. The cream was then topped with a layer of home made strawberry jam……. 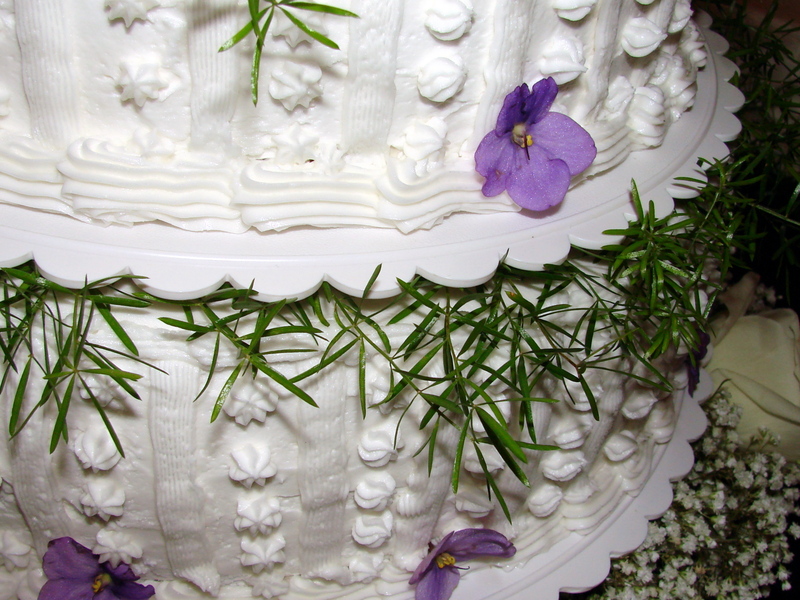 Little African Violets, Asparagus Fern and White Roses were the final touch to make the cake complete…. 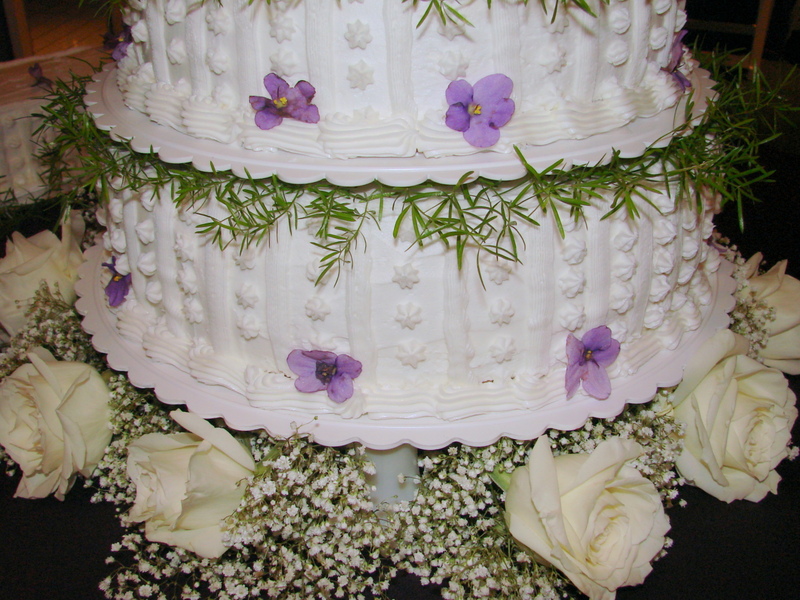 Share with me your wedding cake story…. Maria! Your post is like listening to The Sound of Music. You are, AMAZING!!! Dear, dear Melanie……….you are so sweet to leave such a lovely comment…. Thank you for your very kind words….. This is a time when the family is hoping that the guests don’t eat too much of the cake. They were probably circling like sharks to take home whatever was left…if there was any. Looks beautiful and sounds absolutely delicious! What a gorgeous wedding cake! I can only imagine how excited the bride & groom were when they saw the cake and tasted that first delicious bite. You are a wonder….! Hi Christy….so nice of you to stop by to visit my blog….. Thank you for your nice comment…I so appreciate it coming from you….and I wish I could have seen your presentation of the Thanksgiving celebration on PBS …. We were in Maine and were busy every minute we were there…. Hope you and all your family will have a most wonderful Christmas in your beautiful home in Colorado….I am sure it will be a white Christmas for you….and we so hope for one in Maine as well…. What a beautiful cake, Maria. You are an admirable artist. How long did it take you to make this huge “Torte”? Hi Jutta……..thank you for your visit….you are coming from across the ocean….Herzlich wilkommen! 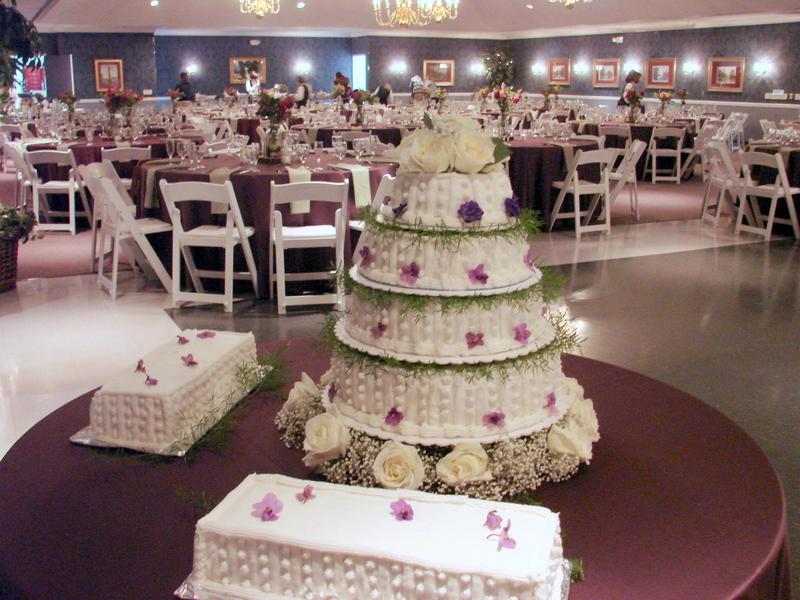 I love making wedding cakes…and all of them I have done as a gift to someone special in my life…. This last one was my godson’s wedding…. It takes a week to make such a cake……….and it is delivered in layers to the wedding, then the stress begins….first it is stacked…then I have a vision of how this cake will look when I finish with it, however sometimes it does not work. Recently I have developed a plan B…..and that usually gets me out of my predicament …. I have a box of flowers, pastry in pastry bags, toothpicks, scissors, ribbons, and all kinds of things that I might need to finish the cake……and of course my friend….the digital camera. I loved reading your blog about the puff pastry you made for Christmas Eve dinner….I have to admit, I have made it once in a cooking school and never again….but, have been toying with the idea to attempt it soon……..